Core Set 2019, also known as Core 2019, is the 18th Magic core set. It is the first core set to be reintroduced under the Three-and-One Model and was released on July 13, 2018. 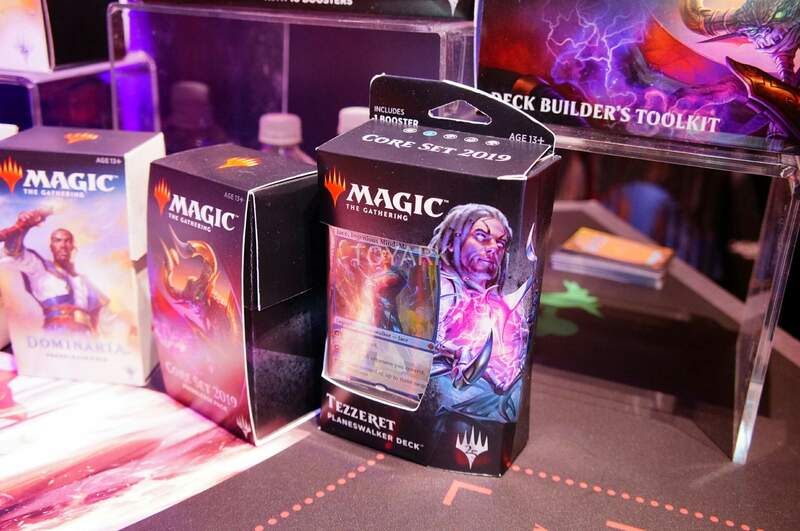 Core sets were discontinued after Magic Origins in 2015, but were reintroduced with Core 2019. The reintroduction made it possible to move away from the Two-Block Paradigm, and create room to print three large standalone sets each year. Thus, the codename Salad was transferred from the small set in the proposed Dominaria block, to this core set. Like Magic 2010 to Magic Origins before, this core set contains a mix of new and reprinted cards. However, it is primarily geared toward incoming players. In contrast to earlier Core Sets, the design team started out by building the Welcome Decks and Planeswalker Decks. They had the freedom to design or reprint whatever cards they needed to make an optimal experience. The team then used the cards they made for those two products as a starting point around which to build Core Set 2019. Core Set 2019 contains 280 cards (20 basic land, 111 common, 80 uncommon, 53 rare, and 16 mythic rare) and includes randomly inserted premium versions of all cards. 25 additional cards are found in the set's planeswalker decks. These are numbered #281/280 to #305/280. A unique Buy-a-Box promotional card numbered #306/280 is also considered to be part of the set. In addition, 8 common and uncommon cards from the Ixalan, Rivals of Ixalan and Dominaria sets (numbered #307/280 to #314/280) have been printed in the Welcome Decks with the Core Set 2019 expansion symbol. The common taplands sometimes replace a basic land in the land slot of booster packs. 181 cards are new, the rest is reprinted. More than 30 white, blue and red commons were accidently packaged in Dominaria boosters, and found two months before release. Due to the transition from the Two-Block Paradigm to the Three-and-One Model Core Set 2019 is one of the few Core Sets with a development codename. Core Set 2019 features a story arc by Kate Elliott, focusing on the origins of the main antagonist of the current storyline, Nicol Bolas, and his conflict with Ugin, his twin. The cards also show bits and pieces of unrelated stories on several other planes. The set is filling in story and not part of the current storyline. To avoid confusing less enfranchised players there are no Story Spotlights. Core Set 2019 is sold in 16-card boosters (one card being a marketing card), five planeswalker decks, the Core 2019 bundle and a Deck Builder's Toolkit. The expansion symbol of the set picks up the design earlier used for Magic 2010 to Magic 2015, though with the modernized font. The boosters feature art from the five planeswalkers, featured in the Planeswalker decks. Five Welcome decks are given away to new players for free. 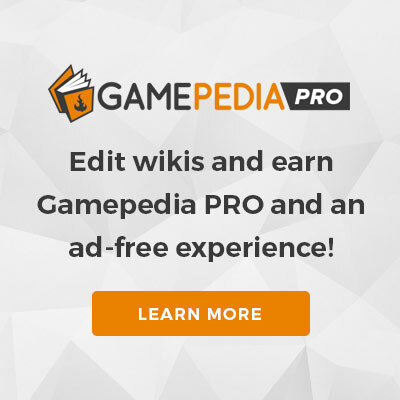 The Welcome decks, Planeswalker decks and Deck Builder's Toolkit are strongly integrated, which allows for an easier transition between the products. Basically, the Planeswalker decks expand on the themes presented in the Welcome decks. Furthermore, the contents of the Deck Builder's Toolkit are entirely fixed and can be used to upgrade the Planeswalker decks. The next step is a booster pack. Because of this, Core Set 2019 is positioned as an introductory booster product for new players. However, the cards targeted to beginning players are mostly found in common and uncommon. This opens up the opportunity to add cards to fill up gaps in creative, mechanical themes, answers or formats in rare and mythic rare. This is also the place for high demand reprints. The creative team also used the set to take some peeks into the larger world of Magic and give a few hints at things that are going on around the Multiverse. Core 2019 comes with 14 tokens, three emblems and a checklist card. Token and emblems appear in the marketing card slot. 4/4 Angel creature with flying and vigilance, for Resplendent Angel. 4/4 Avatar creature with flying, for Ajani's Last Stand. 1/1 Cat creature with lifelink, for Ajani, Adversary of Tyrants and Leonin Warleader. 2/2 Knight creature with vigilance, for Gallant Cavalry, Knightly Valor and Sigiled Sword of Valeron. 2/4 Ox creature, for Transmogrifying Wand. 1/1 Soldier creature, for Heroic Reinforcements and Lena, Selfless Champion. 1/1 Bat creature with flying, for Desecrated Tomb and Regal Bloodlord. 2/2 Zombie creature, for Doomed Dissenter, Graveyard Marshal and Open the Graves. 2/2 Dragon creature with flying and " : This creature gets +1/+0 until end of turn," for Dragon Egg. 5/5 Dragon creature with flying, for Draconic Disciple, Lathliss, Dragon Queen and Sarkhan, Fireblood. 1/1 Goblin creature, for Goblin Instigator. 3/3 Beast creature, for Druid of Horns. 1/1 Elf Warrior creature, for Thorn Lieutenant. 1/1 Thopter artifact creature with flying, for Aviation Pioneer, Sai, Master Thopterist and Tezzeret, Artifice Master. The checklist card appears in the basic land slot. Standard Showdown: foil basic land promo with art by Alayna Danner. The five different basic lands line up to make one large panorama. The Gift Pack for the 2018 holiday season (released November 16, 2018) is integrated with Core Set 2019. It contains four Core Set 2019 boosters, five premium lands, a Spindown die, and five creature cards exclusive to the Gift Pack. The exclusive cards are considered part of Core Set 2019 for legality and rotation purposes. They have the M19 expansion symbol, but are numbered #GP1/001 to #GP1/005. The set features one Transforming Legend similar to those featured in Magic Origins: a double-faced mythic creature that transforms into a planeswalker when a certain condition is met, a condition that represents the event that caused that character's planeswalker's spark to ignite. Nicol Bolas, the Ravager is the only double-faced card in the set. The set does not feature any other new or returning non-evergreen mechanics. The complexity of the set is toned down to make the learning curve a little less steep. There are a few more vanilla creatures and Lords than in regular sets. On the other hand, the set is also seeded with several combos. Core Set 2019 introduces the Vivien planeswalker type. It also reintroduces the Egg subtype (Dragon Egg). Nicol Bolas's reign: Three cards in Bolas' colors across multiple rarities, depicting his reign over Amonkhet, fall from power after the Mending, and subsequent return to strength — Apex of Power ( ), Fraying Omnipotence ( ) and Patient Rebuilding ( ). Core 2019 features five Welcome Decks. Core 2019 features five planeswalker decks, that come with only one booster and are designed to integrate with the welcome decks. Nexus of Fate (the Buy-a-Box promo). Pro Tour 25th Anniversary had several successful pilots of Turbo-Fog variants with playsets of Nexus of Fate, resulting in a massive spike of the card price. It was the first card to receive a specific ban only for MTG Arena in the Best-of-one matches. Liliana's Contract is an alternate win card. Elvish Clancaller is an Elf Lord, that tutors for cards with the same name. High profile reprints: Crucible of Worlds, Omniscience and Scapeshift. ↑ a b Wizards of the Coast (January 15, 2018). "Core Set 2019 Release Date Changed". magicthegathering.com. Wizards of the Coast. ↑ Mark Rosewater (September 20, 2017). "So what made you guys bring back core sets?". Blogatog. Tumblr. ↑ Mark Rosewater (April 05, 2018). "Why do you still refer to Core Set 2019 as Salad?". Blogatog. Tumblr. ↑ Mark Rosewater (April 04, 2018). "What would the second set of Dominaria have been?". Blogatog. Tumblr. ↑ Mark Rosewater (June 12, 2017). "Metamorphosis 2.0". magicthegathering.com. Wizards of the Coast. ↑ a b c d Mark Rosewater (June 18, 2018). "Getting to the Core". magicthegathering.com. Wizards of the Coast. ↑ a b c d e f g h Blake Rasmussen (June 11, 2018). "Core Set 2019 Packaging, Promos, and More". magicthegathering.com. Wizards of the Coast. ↑ a b Wizards of the Coast (June 22, 2018). "Core Set 2019 Release Notes". magicthegathering.com. Wizards of the Coast. ↑ Mark Rosewater (May 12, 2018). "Many major leaks and several by wizards. Is this a deliberate part of spoiler seasons now?". Blogatog. Tumblr. ↑ David McCoy (June 8, 2018). "Core 2019's Story Will Feature Ugin, Nicol Bolas, and Tarkir"
↑ Mark Rosewater (June 21, 2018). "Are there no Story Spotlight cards in the new Core Set?". Blogatog. Tumblr. ↑ Gavin Verhey (July 3, 2018). "Core Set 2019 Prerelease Primer". magicthegathering.com. Wizards of the Coast. ↑ Mark Rosewater (June 18, 2018). "Is Nicol Bolas the only DFC in M19?". Blogatog. Tumblr. ↑ a b c d Ethan Fleischer (June 19, 2018). "Creating Core Set 2019". magicthegathering.com. Wizards of the Coast. ↑ Eli Shiffrin (July 6, 2018). "Core Set 2019 Comprehensive Rules Changes". magicthegathering.com. Wizards of the Coast. ↑ Blake Rasmussen (April 30, 2018). "News From the Editor: Odds & Ends". magicthegathering.com. Wizards of the Coast. ↑ Quinn Murphy (June 18, 2018). "Elvish Clancaller". magicthegathering.com. Wizards of the Coast. Mark Rosewater (July 30, 2018). "Odds & Ends: Core Set 2019". magicthegathering.com. Wizards of the Coast. Mark Rosewater (August 6, 2018). "More Odds & Ends: Core Set 2019". magicthegathering.com. Wizards of the Coast. Mark Rosewater (August 13, 2018). "Odds & Ends: Core Set 2019 Strikes Again". magicthegathering.com. Wizards of the Coast. This page was last edited on 11 April 2019, at 21:27.